Throughout 1949 and 1950 H.W. ‘Bill’ Tilman mounted pioneering expeditions to Nepal and its Himalayan mountains, taking advantage of some of the first access to the country for Western travellers in the 20th century. 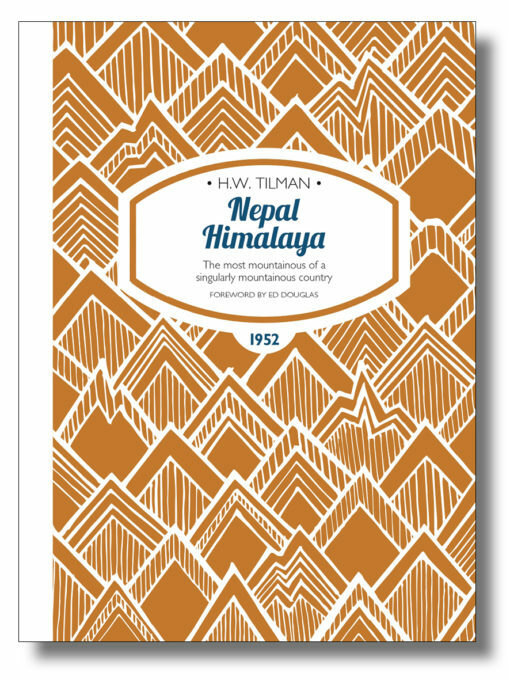 Tilman and his party—including a certain Tenzing Norgay—trekked into the Kathmandu Valley and on to the Langtang region, where the highs and lows began. They first explored the Ganesh Himal, before moving on to the Jugal Himal and the following season embarking on an ambitious trip to Annapurna and Everest. Manaslu was their first objective, but left to ‘better men’, and Annapurna IV very nearly climbed instead but for bad weather which dogged the whole expedition. Needless to say, Tilman was leading some very lightweight expeditions into some seriously heavyweight mountains. ISBN 978-1-909461-38-3; 216 x 156mm, 280 pages, photos, maps. Softcover with sewn binding, cover flaps and matt lamination.